With Comic-Con rapidly approaching, and my limited free time rapidly diminishing, I thought I’d post my schedule here. We’ll have other IDW panels I’m not directly involved with and post them all at the IDW site, but these are the ones that I’m going to be doing, as well as the mention of a KISS signing alongside Gene Simmons and Jamal Igle. I’m also doing a speaking event at the San Diego Law Library downtown on Tuesday afternoon but don’t have all the details on that one yet, so not sure if it’s open to the public or not. I’m moderating a panel with Joe Hill, Margaret Atwood, Sam Wells, Audrey Niffenegger and more. It’s a discussion of the new Bradbury tribute book, SHADOW SHOW: ALL-NEW STORIES IN CELEBRATION OF RAY BRADBURY. And it’ll now be even more of a celebration of Bradbury’s life and legacy, too. It’s an exciting year for Judge Dredd – not only does he turn 35 but he has a big-budget movie coming, a brand-new IDW series launching, and more. Join IDW’s Chris Ryall, Dredd movie concept artist Jock, 2000 AD’s Matt Smith and Ben Smith, and some very special guests, alongside moderator Douglas Wolk as we announce the creative team of IDW’s series, talk about the return of the Dark Judges, and much more! I’m just a guest on this one, but it should be valuable to anyone looking to hear what editors and publishers are looking for. The Locke family has been through a lot so far in the acclaimed series, but the worst is yet to come in Omega, the concluding Locke & Key storyline coming this winter. IDW Editor-in-Chief and L&K editor Chris Ryall hosts a sit-down with Locke & Key creators, writer Joe Hill and artist Gabriel Rodriguez, as they tell you what is coming in Omega, what else they have planned once that wraps, and a few surprises as well. In this month’s COMICS BUYER’S GUIDE, I throw my Ten Favorite Covers out there. Rather than just go so broadly, I went for a theme–my ten favorite Annual covers. And the piece came out nicely, other than one thing I screwed up. When you read the text for the NEW TEEN TITANS ANNUAL, it refers to “painterly colors” and “solid black inks on the primary colors,” which of course makes no sense on the #3 cover pictured. I intended to feature Annual #1 on the list, which would’ve actually made sense with that write-up, as you can see in the attached file. That little flub aside — and like I say, any George Perez cover is likely to make my top 10 list — I was happy to be a part of this feature. In this case, IDW is just me from the home office, and a good buncha talent hanging out for signings, portfolio reviews and flash-drinkups (those exist, right?). Should be a good time. Here’s what’s officially scheduled but there’ll be lots of informal scribblings going on at the IDW booth as well, so if you’re at the show, come on by during the weekend and say hey. HAUNTED AMERICA, coming in issues 9-12, starting in May. By the usual cast of lunatics, Erik Burnham, Dan Schoening, Tristan Jones, and Luis Delgado. The above image by Schoening & Delgado is the combined covers for 9 through 12. Our big INFESTATION 2 event launches next week with the lead issue by Duane Swierczynski and David Messina. And while there are bigger, more important issues that tie in to that event, the one I’m personally fond of, for very biased reasons, is a goofy little one-shot that hits on Leap Year day, February 29. 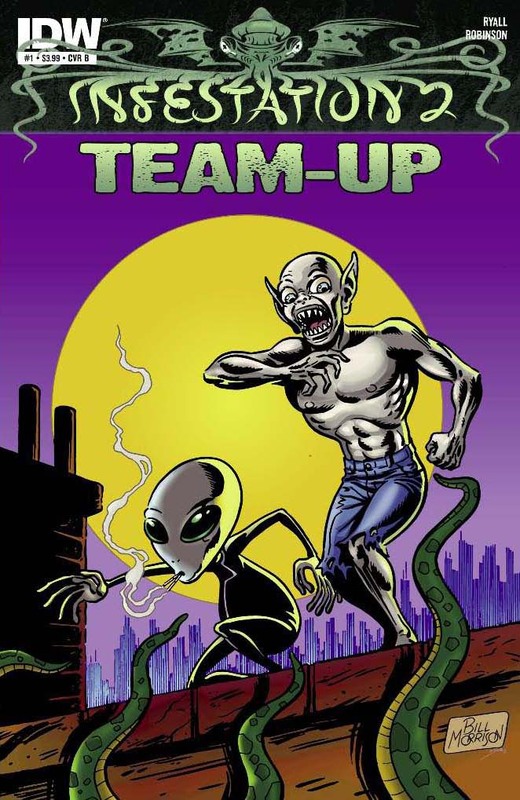 That is, INFESTATION TEAM-UP, written by me and drawn by my WEEKLY WORLD NEWS cohort Alan Robinson. 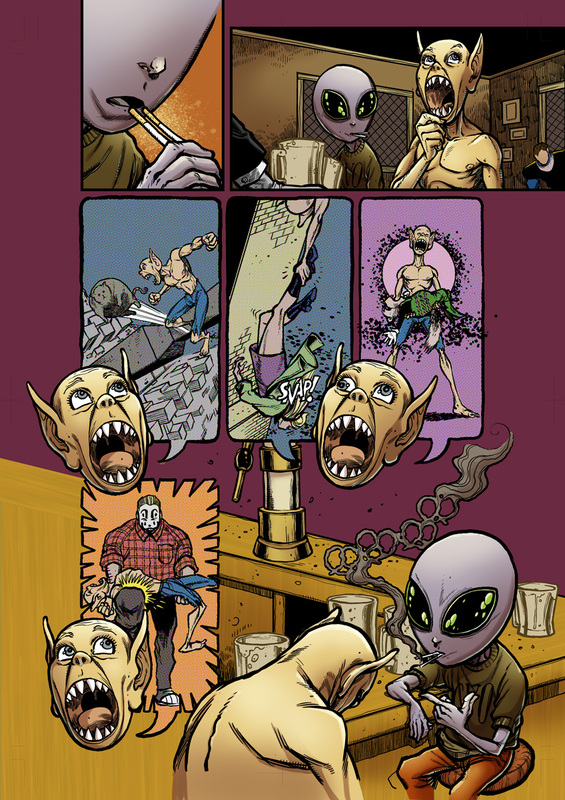 It pairs of GROOM LAKE’s grey alien Archibald with the WEEKLY WORLD NEWS’ Bat Boy and is essentially a bit of a piss-take on the idea of big events. As such it references, mocks, or pays homage to lots of other past events. Just a fun pressure-release of an issue amidst the more ominous crossover event going on around it. 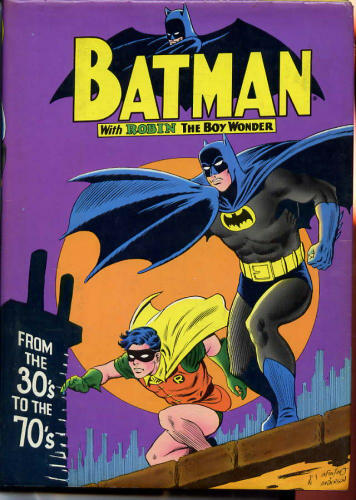 In addition to Eric Powell‘s cover for it, which has already been seen in PREVIEWS, Bill Morrison was nice enough to do the above image, a tribute to a book I loved as a kid, BATMAN: The ’30s TO THE ’70s (I know that the Infantino cover art is older than that book but that’s where I first saw it, anyway). 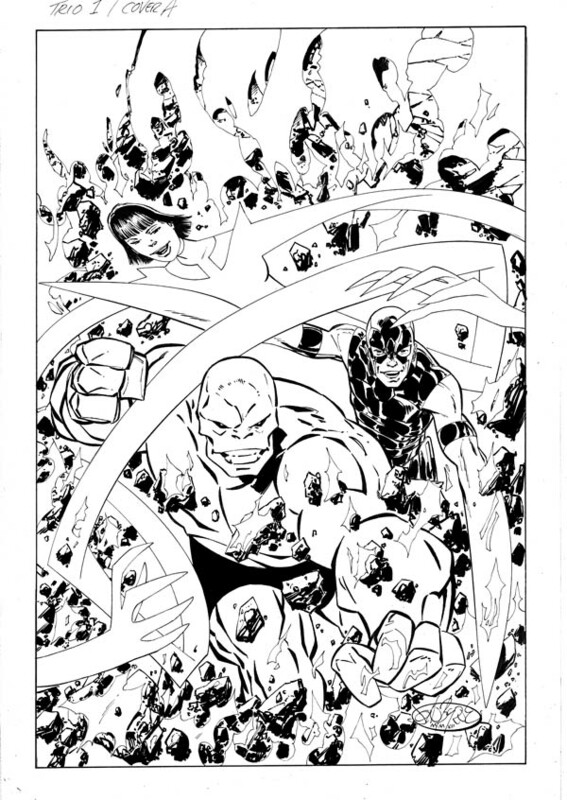 The great Sal Buscema is inking a number of new projects for us now, including one ongoing monthly we’ve yet to announce. But one thing we have announced and just approved to print is next month’s G.I. JOE: A REAL AMERICAN HERO ANNUAL 2012. On the first-ever RAH Annual, Sal inked his old cohort Ron Frenz, as well as fellow former HULK artist Herb Trimpe and Ron Wagner, too. Sal told me it’s been over 30 years since he last inked Trimpe, so it was fun to make that happen, as well as keeping the Ron-n-Sal team together, too. And with Ron Wagner doing the last chapter in this Larry Hama-written story, it’s a very fun flash back to all these guys who just anchored the comic business in the ’70s, ’80s, ’90s and now beyond, too. Ron and Sal will keep going on some issues of RAH as well, as evidenced by their cover here for issue 177. And Sal has been as charming a guy to work with as you’d ever hope, so it’s been a thrill for me all around. Here’s a look at Sal’s inks over all three guys, and a few colored pages as well. With much more to come. So I know there’s a good prose anthology on the way–lots of plans in that regard, and the chapter illos for those stories look phenomenal. I’ll post all that soon and talk it up as the eBook shorts go live, which is happening soon–but there’s also to-do going on with the comics. One bit of news, I have to keep secret for now, but I can announce here that in May, I’ll be handing off comic stories to different writers for the first time. 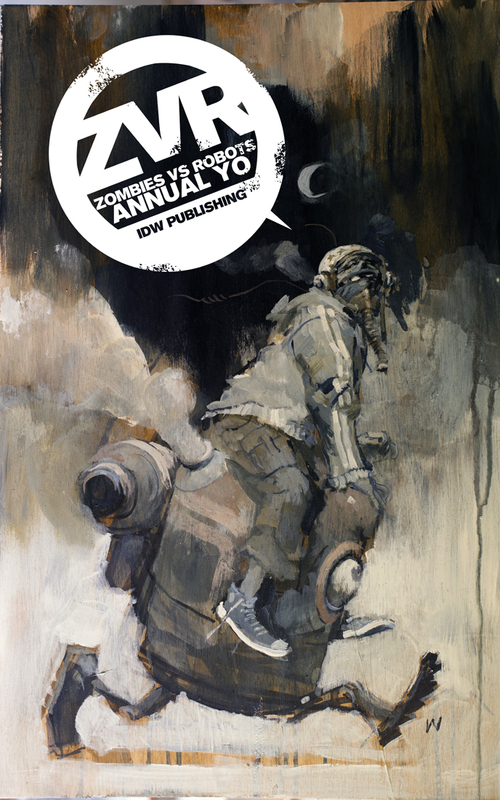 In May, we’re doing the first-ever ZOMBIES VS ROBOTS ANNUAL, and bringing in some big guns for this one. First, I’m happy as hell that Ashley Wood is back on-board for interiors: he and I will be doing a new 14-page story. But there are other people I’m really happy to have alongside us. I resisted the idea of handing off ZvR comic stories to anyone else for a long time, but these cats are some people I really love, and more and more, I’m drawn by the idea of seeing what other people do with the goofy premise. Daniel’s the author of one of my favorite recent novels, ROBOPOCALYPSE (likely to be a major motion picture before ZvR, but I’m hoping it’s a neck and neck race) and I’ve wanted to have him do comics, or anything, with us for a while. Sam is also a perfect fit for this property, and I’m hoping this is just the start of him proving that fact. Rio’s a helluva prose writer as well (I’m currently loving his DARK DREAMS, PALE HORSES collection, but he also had a very fun story alongside mine in the CLASSICS MUTILATED book we put out last year). He and Andy Kuhn, who I’ve wanted to get onto a ZvR project for a while, are a great fit. Kevin is, of course, the brains behind UNDERWORLD and other thrilling comics, and he’s paired with Drew Ford, a really exciting new artist who has a pin-up in my INFESTATION 2 TEAM-UP issue out on Feb. 29, among other things. And having the band back together with Ash back for a story is thrilling as can be, too (he and I will also have a new 4-page story in April’s HERO INITIATIVE comic. That one pays obvious tribute to a cartoonist I have adored since childhood). 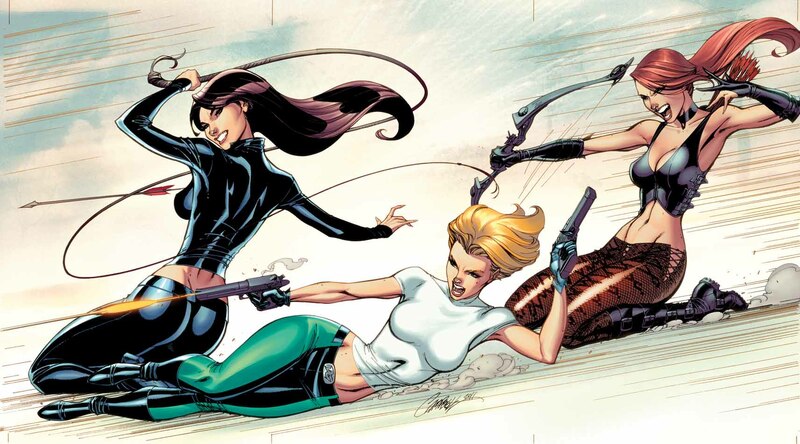 The all-new DANGER GIRL miniseries, DANGER GIRL: REVOLVER, launches next Wednesday. 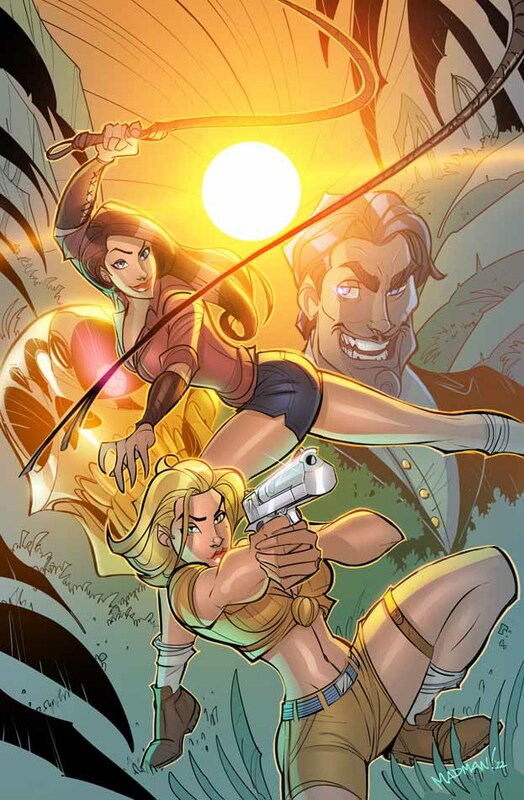 That’s the issue that introduces an all-new Danger Girl to the world — it’s by Andy Hartnell and JACK AVARICE artist Chris Madden, with covers by Madden and also J. Scott Campbell. What you see above these words is Campbell’s wraparound issue 3 cover. 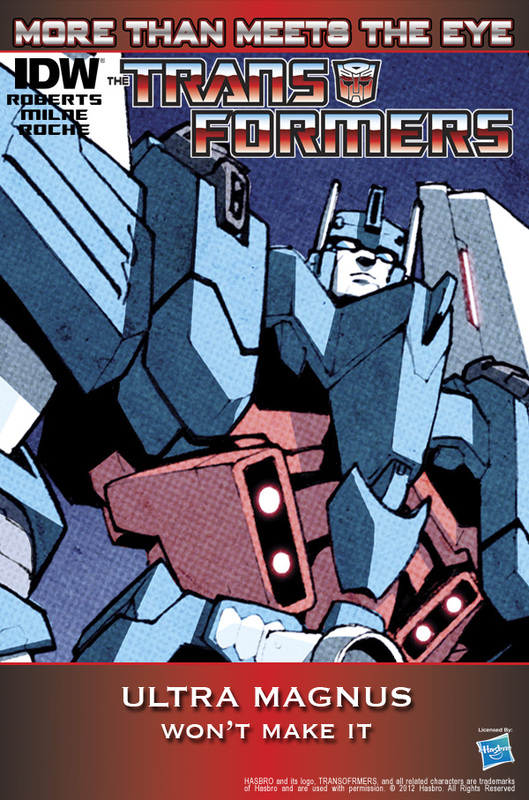 While below the words is Madden’s cover to issue 2. And if you like Madden’s take on DANGER GIRL, you’re going to be very happy about the crossover he’s doing after this series ends, too.